The course is designed to provide advanced, intense, hand-on training on SAS programming, and prepare students for profession as skillful SAS programmers. The focus is on SAS macro facility and SQL programming, as well as statistical procedures. Comprehensive projects give students insight and experience into SAS programming in the real world. 1. Understand the concept and benefit of macro programming. 2. Create and reference macro variables. 3. Efficiently utilize macro functions. 4. Develop and apply macro programs to handle complex projects. 5. Develop, maintain and utilize macro library to achieve modular programming. 6. Utilize SQL programming within SAS. 7. Understand the difference between traditional SAS programming and SQL programming. 8. Connect to DBMS, and exchange data between various DBMS and SAS. 9. Understand the difference between pass-through facility and LIBNAME statement in establishing connection to DBMS. 13. Generate table and listing for clinical studies. The students are responsible for attending all classes and participating on a regular basis. Attendance will be taken -- lateness and absences will be reflected in the student’s grade. If you have to miss a class, you must notify the instructor in person or via email the week before. Classroom discussions are encouraged and the students are expected to make meaningful contributions to the discussions. The students are responsible for doing all assignments, including quiz, homework, and projects, and handing them in on time. Exams must be taken at the given times including mid-term exam and final exam. No make-up exams will be given. Special handicaps and/or needs can be accommodated, but the instructor must be notified at least one week in advance. The student must behave in a mature manner at all times – unusual, disturbing or harassing behavior will not be tolerated. Such behavior will lead to ejection from class and possible further actions, including a requested withdrawal from class. 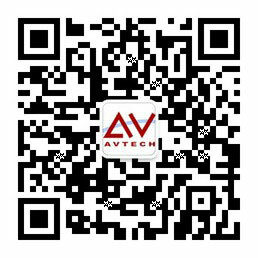 Avtech Institute’s school policies must be followed at all times. Note: For more detailed description of each chapter, contact us.